Today's post is part one of my review on Nail_Artisan's Glitter Dusts. 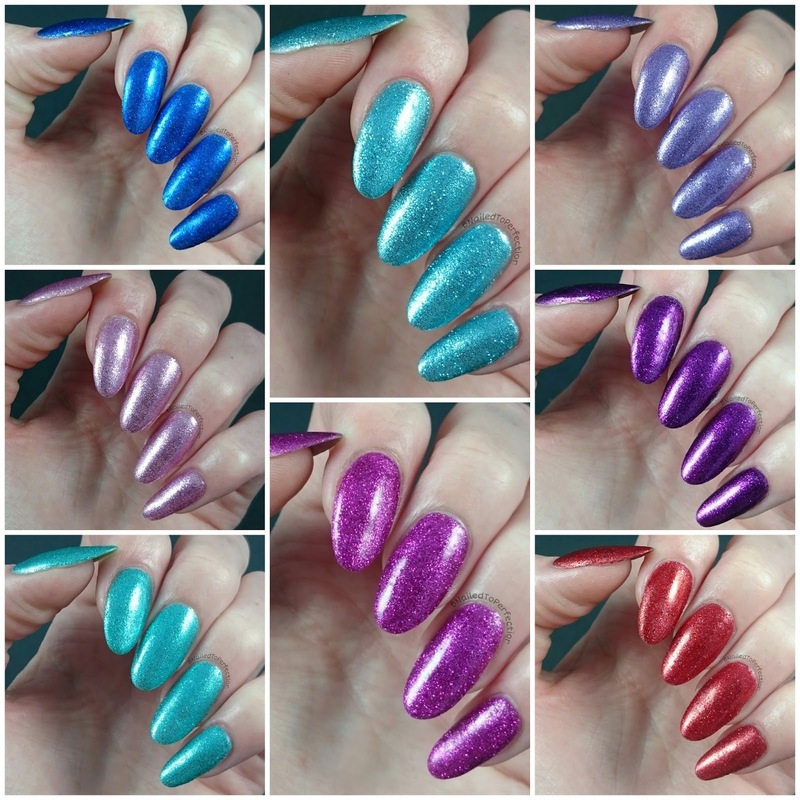 Nail_Artisan is a UK based supplier of amazing quality nail art goodies such as stamping plates, stamping polishes, nail art tools glitters dust etc. This review is going to be spread over two posts as there are sixteen glitter dusts in total...so quite a lot! All glitters have been burnished into the tacky layer of gel polish and then sealed in with Gelish Top It Off. For swatching purposes I have just used one layer of top coat but I would recommend two coats to ensure the glitter is sealed in well. Unlike normal glitter they don't feel gritty, they are so fine and apply perfectly. 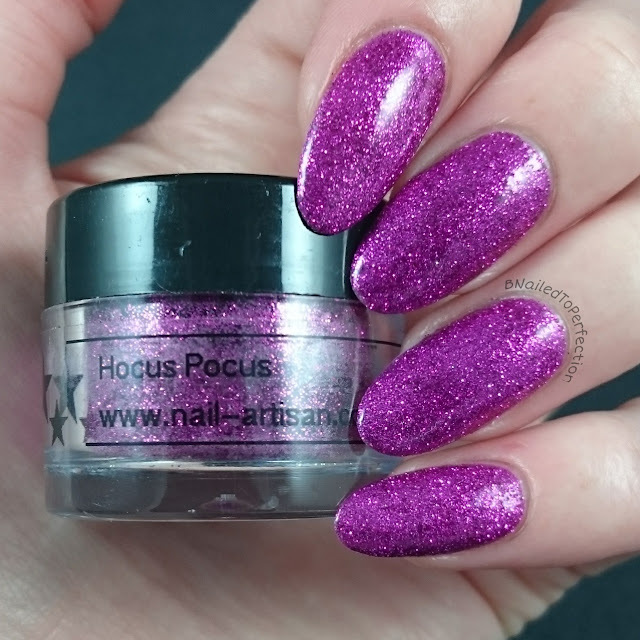 First up we have Hocus Pocus and I love this one (along with it's name as I loved that film as a kid - you know the one with Sarah Jessica Parker and Bette Midler as witches?!). 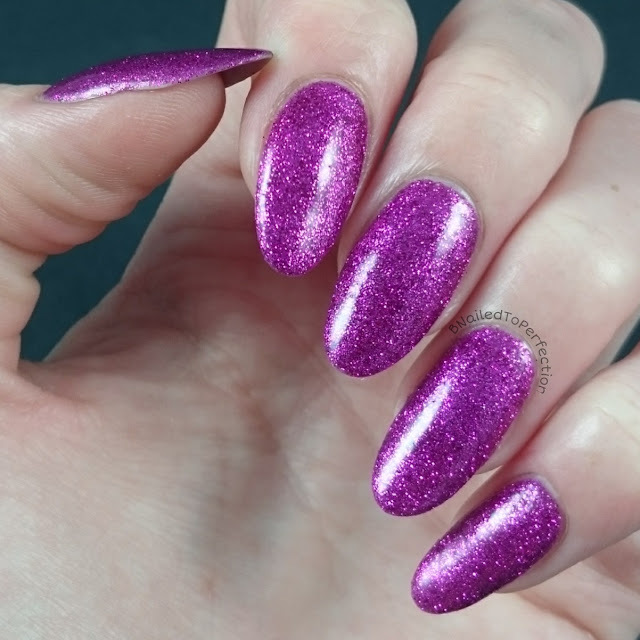 I would say this is a dark fuchsia colour but it appears as different shades in certain light. Sometimes more pink, sometimes more purple. 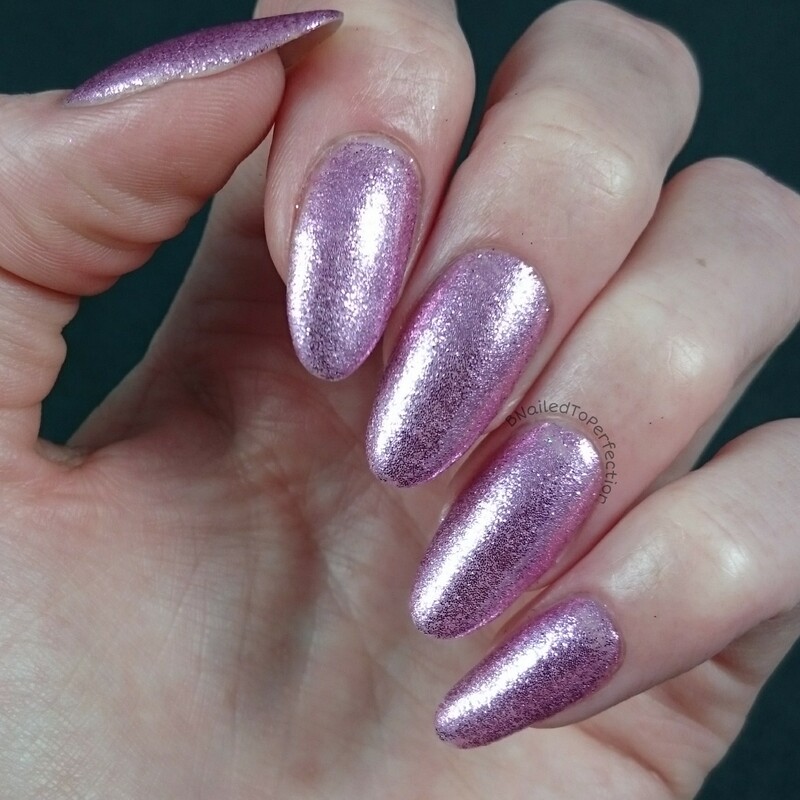 I have used Gelish Starburst as the base colour. 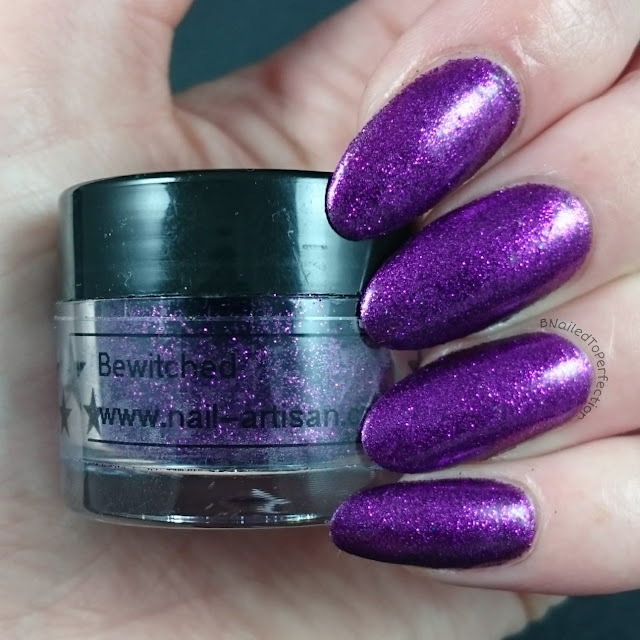 Bewitched is a lovely dark plum. 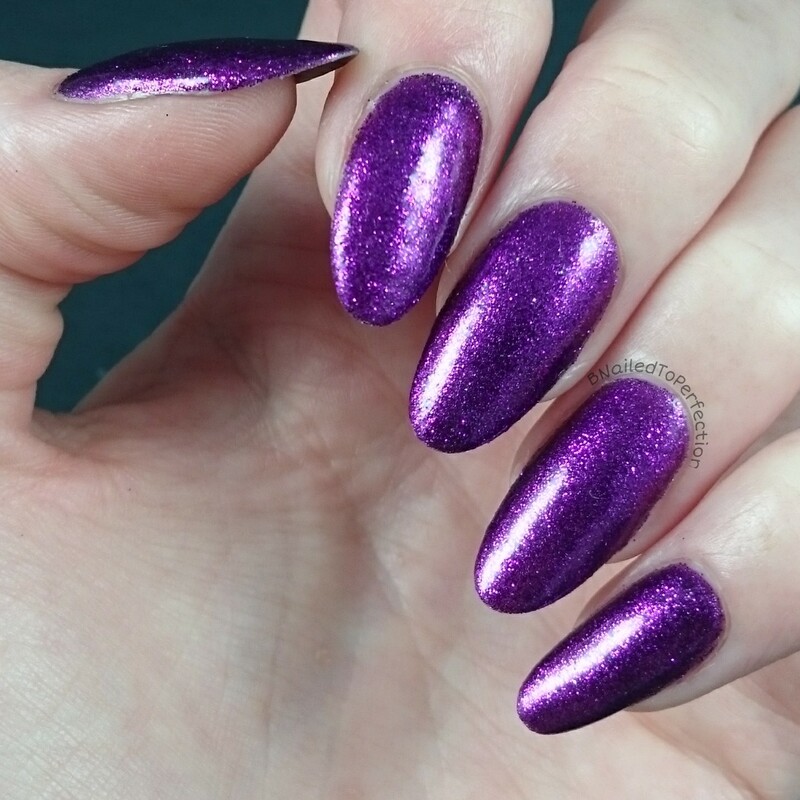 I have used Gelish Night Reflection as a base which was a perfect match. Here we have Mad as a Hatter. 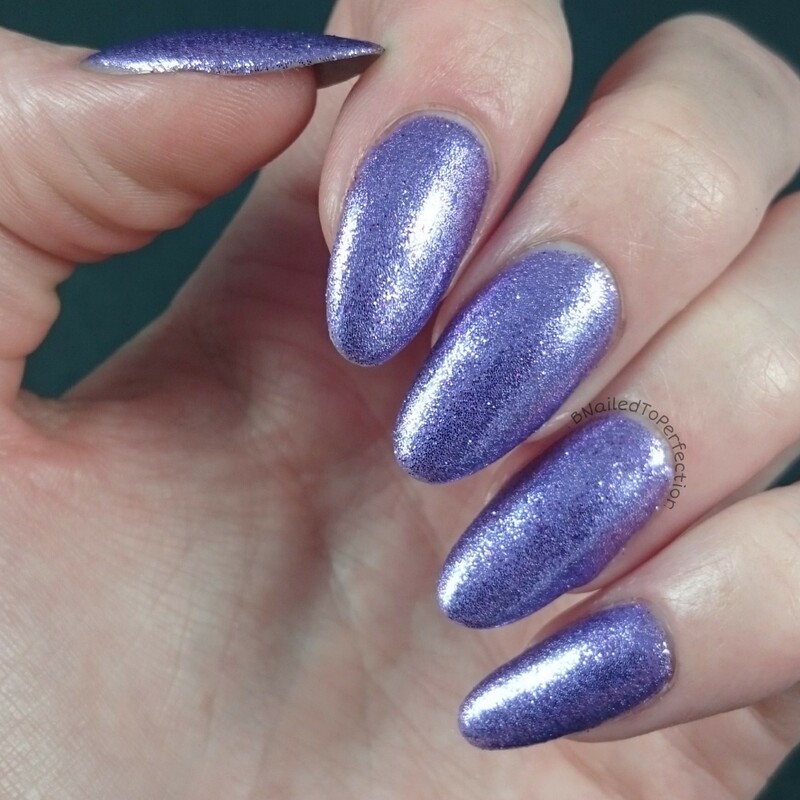 I would say this is a periwinkle shade and it has a gorgeous metallic finish to it. Base colour is INK Secret Desire. 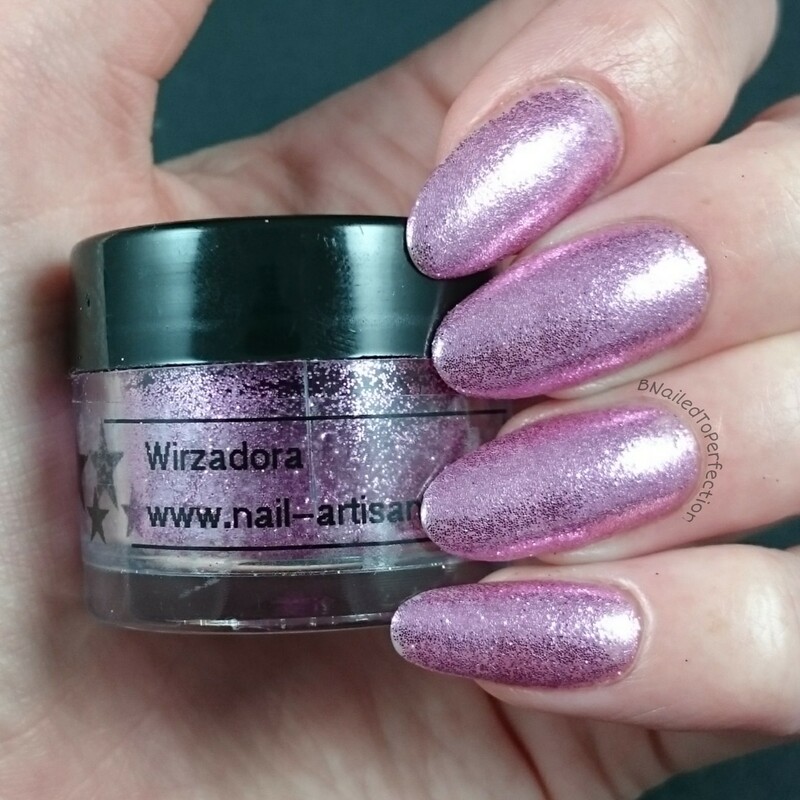 Wizadora is a lovely bubblegum pink with a metallic finish. Base colour is OPI Pedal Faster Suzi. 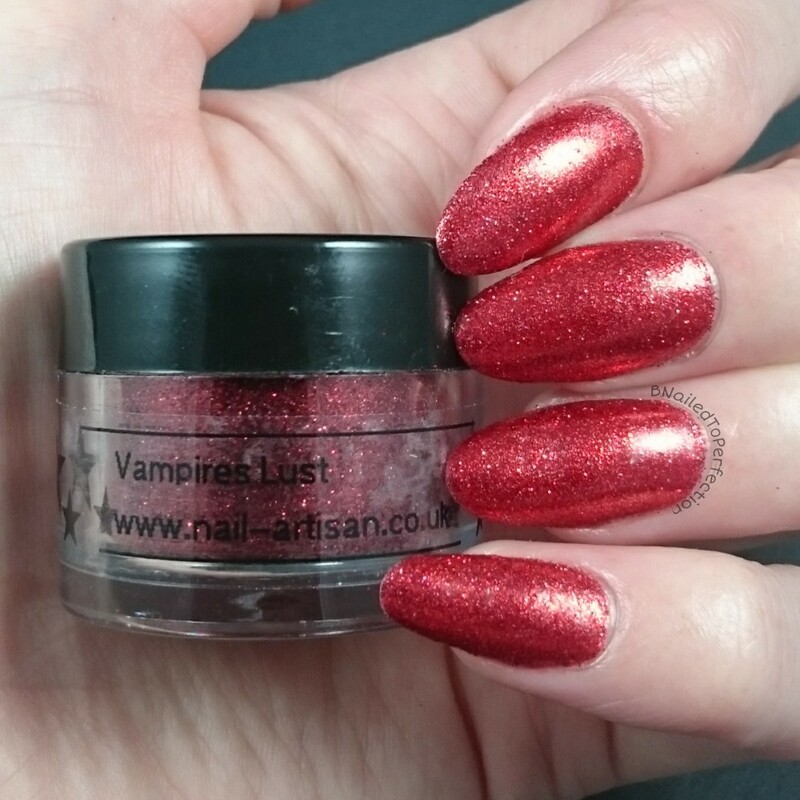 Vampires Lust is a dark sultry red. 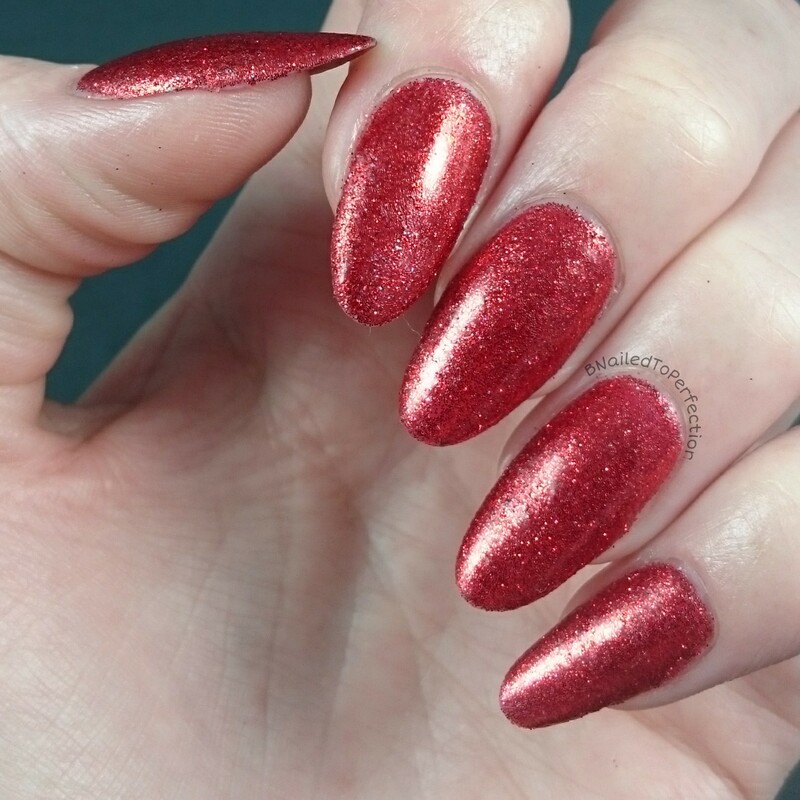 I have used IBD Luck Of The Draw which is a lighter bright red so it makes the glitter appear more of a cherry red. If you were to burnish it into a darker red it would appear more like it is in the pot. 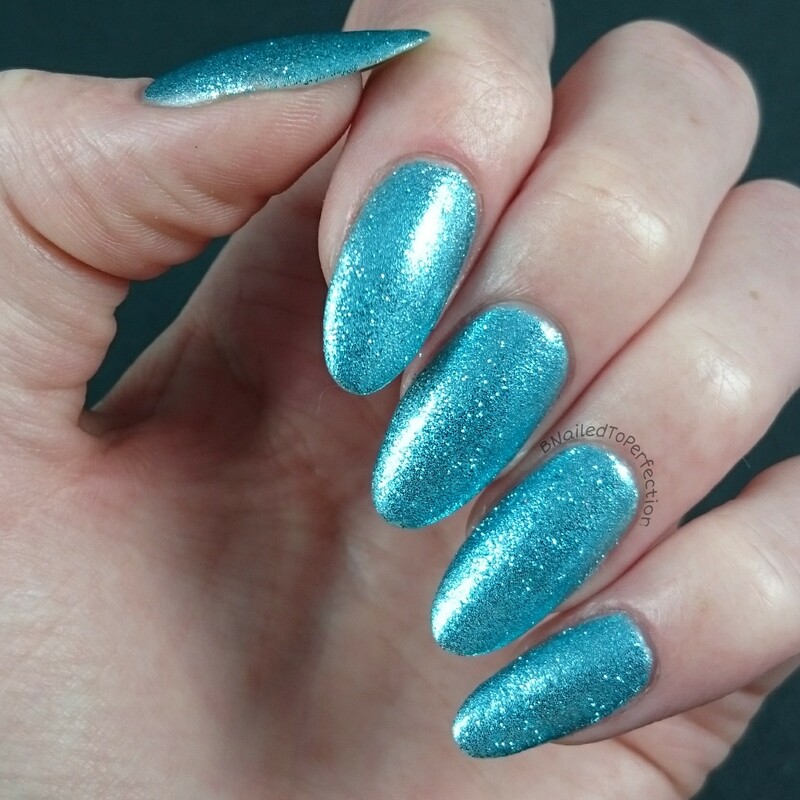 Never Land is a gorgeous light teal and I think it's my favourite....I am sucker for blues! 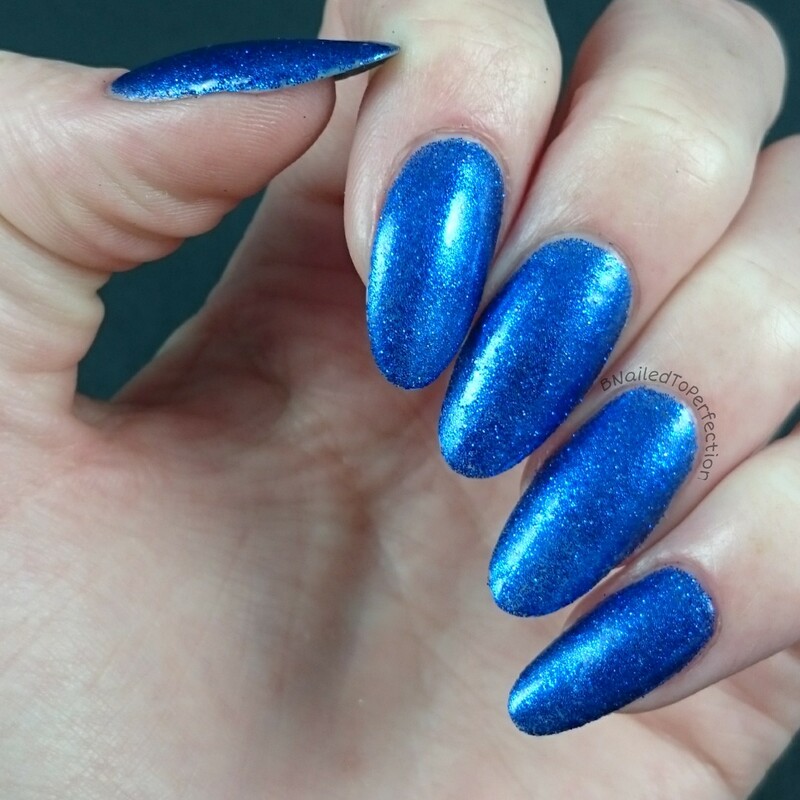 The base colour is IBD Jupiter Blue. 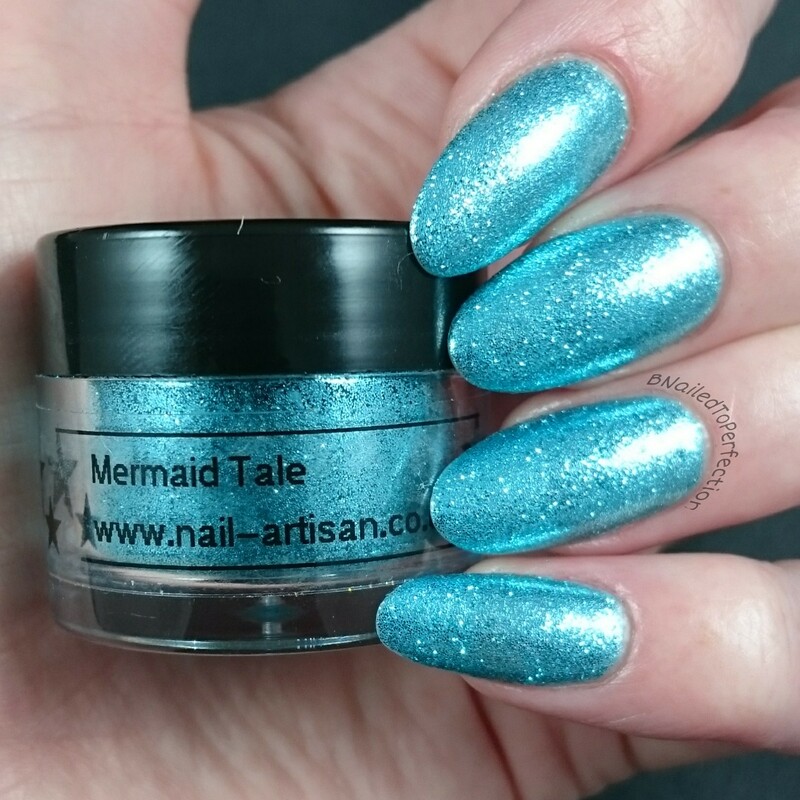 Mermaid Tale is also a favourite! 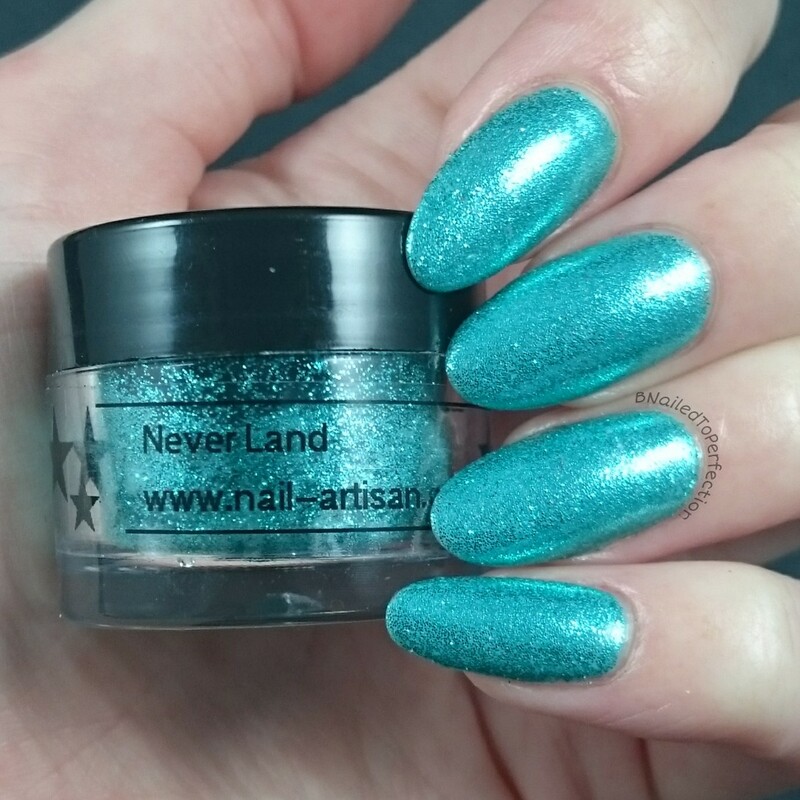 It's very similar to Never Land but Mermaid Tale is more of a turquoise shade and does look lighter in person. This is over INK When In Blue. 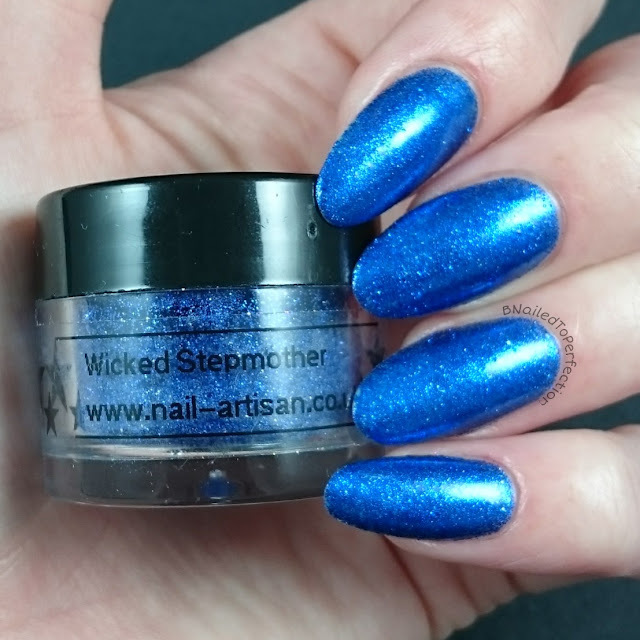 Last but not least we have Wicked Stepmother which is a gorgeous royal blue. 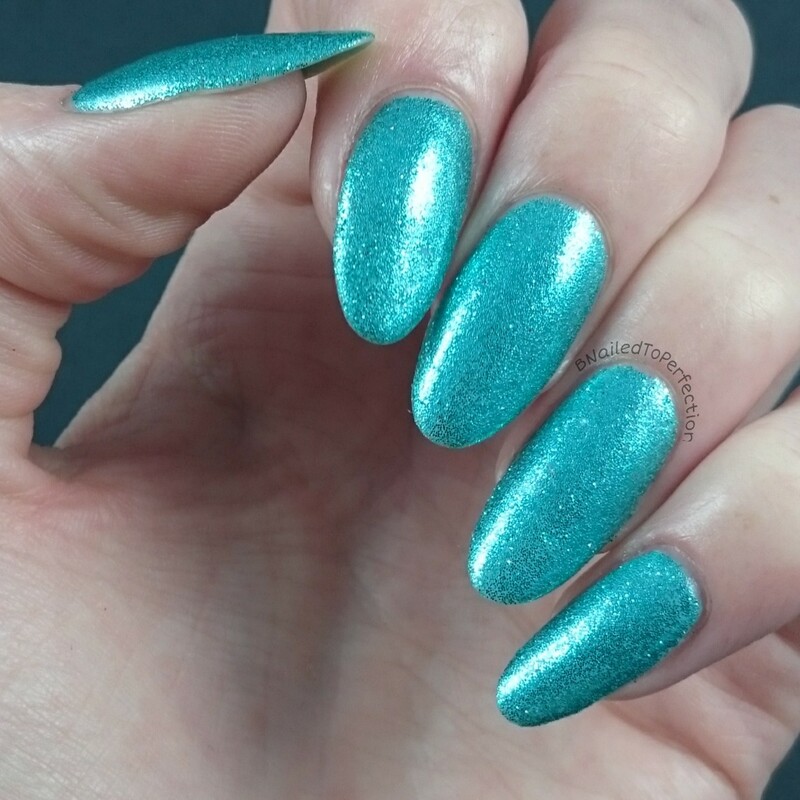 Base is Gelish Wiggle Fingers Wiggle Thumbs. 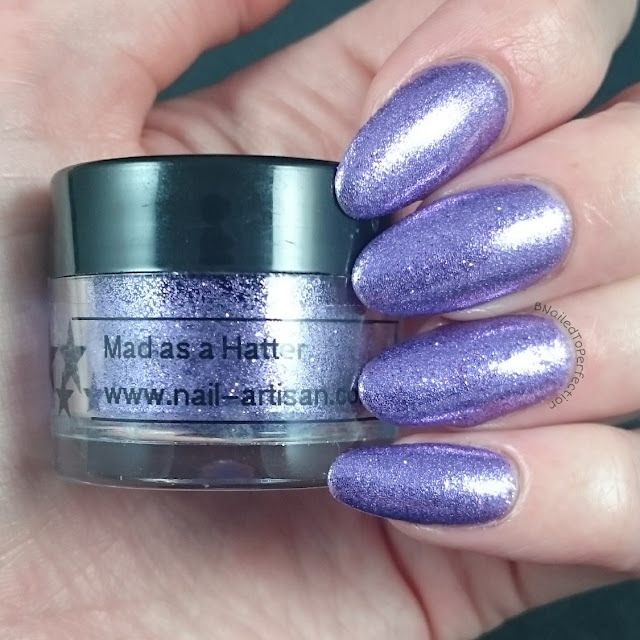 So that's part one of my Nail_Artisan Glitter Dusts review and I am so impressed with them! Each pot has 5 grams of glitter and they retail at £3.99 per pot. You can buy them individually here or you can save a bit of money if you buy the full collection here. Also they are all cosmetic graded and have MSDS available so they are perfect for use on clients. My favourites have to be Hocus Pocus, Never Land, Mermaid Tale and Wicked Stepmother. How about you? Don't forget part two will be coming later this week!